Focus On IELTS not only prepares your students for the IELTS examination but also equips them with the tools that they need for success once they enter academic life. Focus on IELTS new edition maintains its popular topic based approach but has been thoroughly revised and now contains new material aimed at helping students succeed in their future studies. There is thorough exam skills training and graded practice to help students pass the exam. New Critical Thinking and Reflective Learning training helps students become more analytical and therefore more effective as learners. New Academic Vocabulary sections systematically build up students' knowledge of the all-important Academic Word List. New Academic Style sections focus on key aspects of academic English, and develop students' ability to achieve the appropriate formal style. The Key Language Bank provides a reference tool and extra practice activities to help students build their vocabulary and knowledge of grammar. An expanded Writing Practice Bank provides model answers and additional writing practice for both Tasks 1 and 2. Error Hit Lists help students eliminate common errors from their work. Additional exam practice is available with the interactive iTests on the CD-ROM. 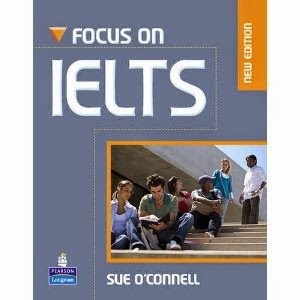 How to use the Cdrom of this book "Focus On IELTS"
You need to install Daemond tools lite free on your PC. Remember to select FREE version during installation. After installation, restart your PC. A virtual driver will be created next to your DVD or CD Drive. Run Daemond tools, press green play button, browse to the Cdrom to insert it. After the Cdrom is successfully insert, you can use the cdrom as you want.